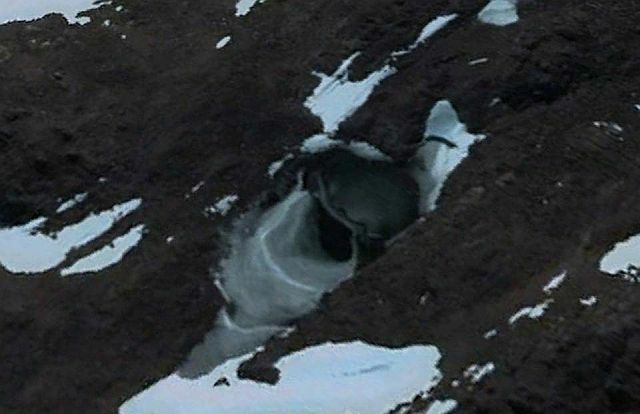 The place is remarkable given that the location of the UFO is not too far away from an unnatural looking entrance, from which it is said that it leads to an underground base. On March 19, 1992 exobiologist Dale Andersen, a veteran of several Antarctic research expeditions under the sponsorship of NASA and the National Science Foundation made an expedition to the Bunger Hills when a simple data-gathering exercise turned life-threatening in the blink of an eye. Due to an unexpected blizzard, he spent the night behind a rock for cover. Read Dale Anderson’s story Here. 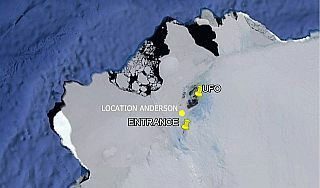 It is remarkable that the area of the unexpected blizzard and thus Anderson’s location is exactly between the locations of the entrance and the UFO. 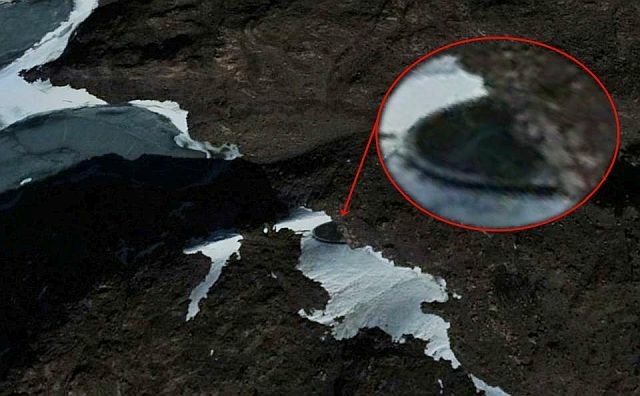 Andersen who spent October 1991 through April 1992 in Antarctica was member of an exobiology research expedition to Russia's Bunger Hills station which was a cooperative effort between NASA and the Russian research establishment, this expedition included eight Russians and two Americans and one Canadian!! It seems that the Burger Hills is an interesting spot. Below a video of the UFO found by secureteam10.